Convis Township is centered on the northern border of Calhoun County. It contains four school districts, telephone exchanges, and zip codes and they are represented by Pennfield (Battle Creek), Bellevue, Marshall, and Olivet. Interstate 69 divides the township east and west and Interstate 94 is 3 miles south of the township. Convis Township is a rural community with tree lined roads next to agricultural fields where corn and soybean are the principle crops. At the heart of the township is Baker Sanctuary, the first Michigan Audubon Society sanctuary. Baker Sanctuary is a primary nesting and migratory staging area for Michigan’s largest bird, the Greater Sandhill Crane. Convis Township is the home for a variety of businesses. The BFI landfill and the Gas Recovery Systems are large businesses. Most of the township governmental activities are supported by income derived from these activities. 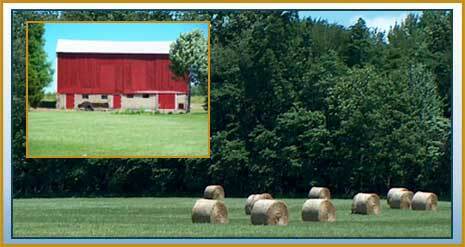 Convis Township is proud to be the home of Cornwell’s Turkey Farm, the Medallist Golf Course and other smaller businesses. Our boards, commissions and committees are comprised primarily of citizens who volunteer their time to preserve our rural atmosphere, control development, and make this a safe and welcoming area to call home.